a new bohemia: a list. 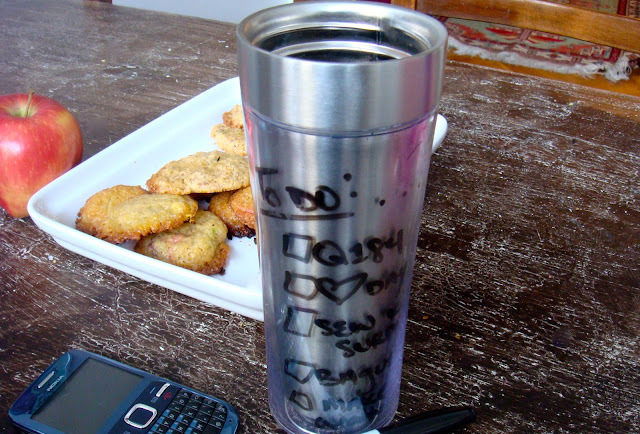 purchase a skinny dry erase marker so I can fit more list items on my coffee mug! Ha! Love the last one. That's a cool cup by the way. You can write on it? Where did you get that?! I MUST know. @Babs in Amman: Or, you'd just drink far too much coffee and stare at your to-do list.... like me ;) By the way, congrats on gaining an International Women's Association in Amman! That is a fantastic addition, I'm sure! @Leslie: OOH! Can't wait to hear your strong opinions. I'm only about 1/4 of the way through and it's my first book by Murakami. I'm reading two other books simultaneously, so I'm moving a bit slowly on this one. Can't wait to discuss with you and learn your thoughts on it. Have you read any of his other books?